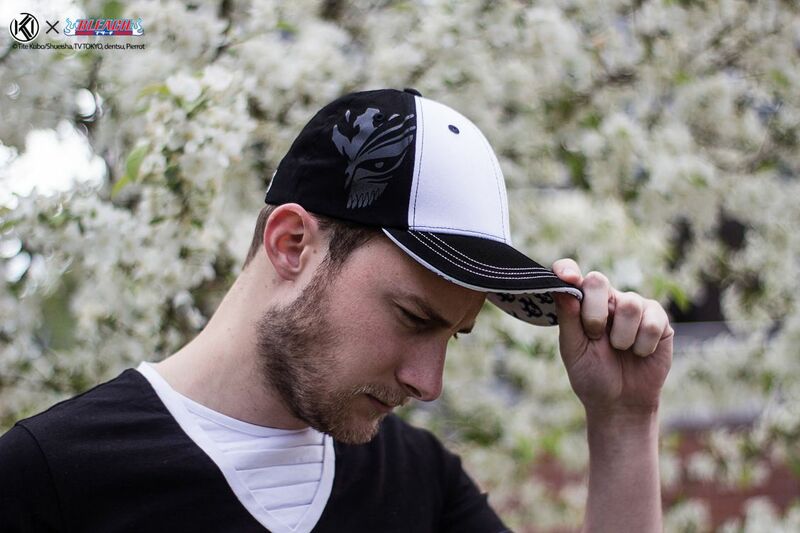 This cap hat is inspired by Bleach and a tribute to its main character, Kurosaki Ichigo. 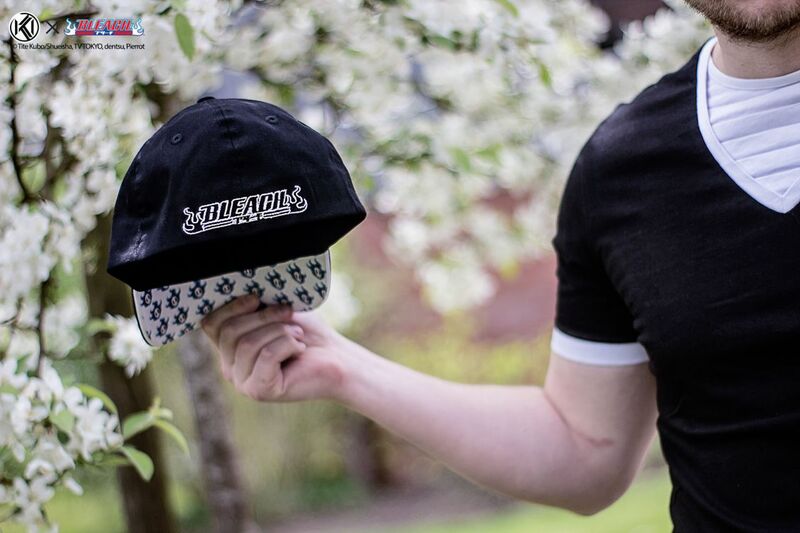 Its colour scheme matches the Shinigami’s uniform’s. 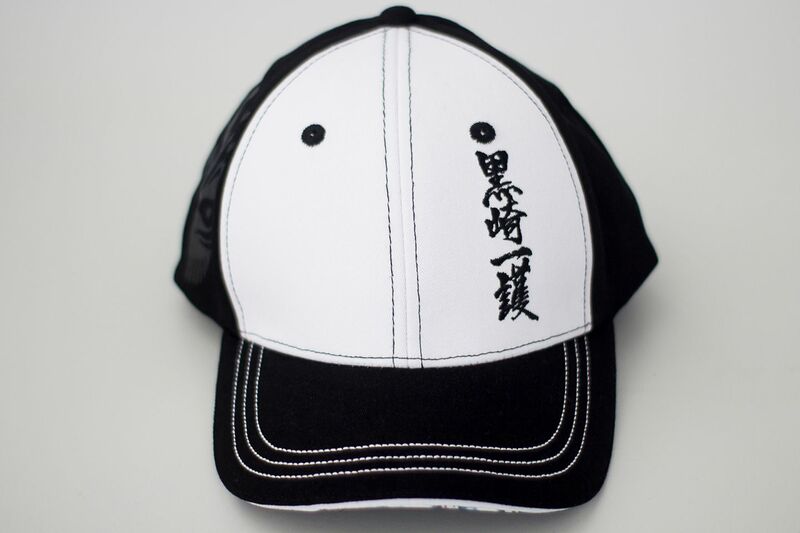 The front of the hat is embroidered with the kanjis黒崎 一護 (Kurosaki Ichigo) while the back has the Hollow mask discreetly printed on. 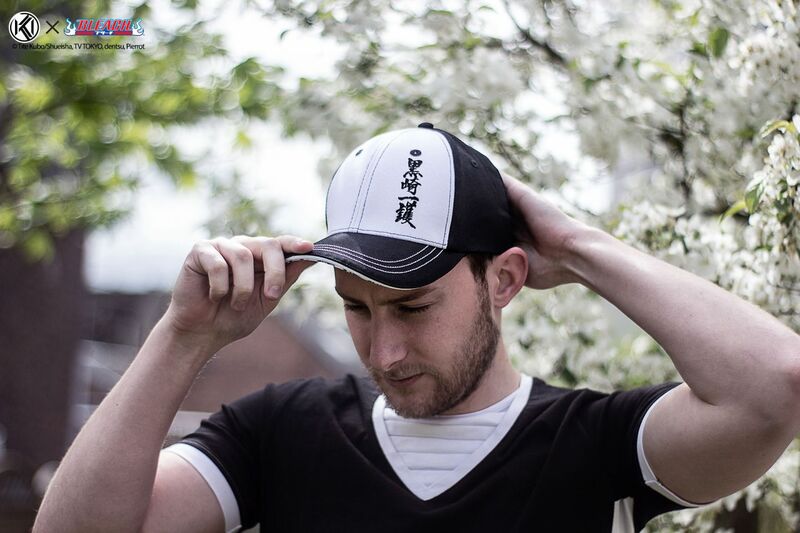 You’ll find Bleach’s logo on the back, and Shinigami’s symbol embroidered under the bill of the cap hat.